1. 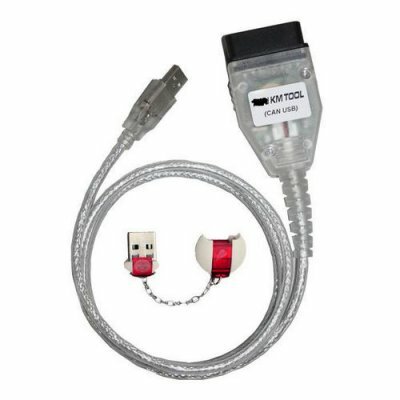 For Ford KM Tool(CAN BUS) includes 3 parts: OBDII Device, sense dongle, software. About…: The support instrument dash num, device info, newest version, update etc. All info can be get from here. While change KM, just follow the tips give in software bottom. You can try some times if Write KM failed. *8C3T-*-* *9T1T-*-* *8T4T-*-* *7M5T-*-* *6R33-*-* *6F2T-*-*"
2). Device Info: From here you can get you Dongle ID, dongle version, device ID, device version. You must connect to internet for update. First you can find the newest version from the bottom. Then you can get you dongle version and device version with button Device Info. You can update your device and dongle if you find new version. For software you can download from our web site. Warning: While updating dongle and device, please don’t stop the update process. After update you must reconnect the device. Dongle doesn’t need. Q:How can I update it? A:after you buy it,in its software,you will see "about",press it,it has update button. It can be update on internet. Q:Can your for ford km tool do all ford car from 1998-2010? A:No,it can not do all car,it can do most ford car,also,It can not do FORD truck. Q: "Device not Connected" Error,how to do? A: Reason:Hardware not connected to pc with usb Port,please Plug Device to USB Solution. Q: GALAXY 12/2006 -not connect ,It only works for galaxy after 2006. It change mileage on dashboard, not on ecu. Pay attention to the car OBD, it's opposite of our device. Q: When update for ford Ford KM OBD, and it shows"Server response error"
A: pls send log file to us, We will check where is the problem is. Shipping Cost & Payment: Here is the details " shipping " " Payment "
How to order: Here is the instruction " Shopping Guide "